Reunion Gold Corporation (TSX-V:RGD) is pleased to announce results of the first twenty-five drill holes of the Nivré gold deposit expansion drilling program, part of the Dorlin Gold Project located in French Guiana. These new results show significant extension of the South and West mineralized zones of the Nivré gold deposit. 1.80 g/t gold over 12.0 meters from collar and 3.03 g/t gold over 9.0 meters from 18.0 meters in drill hole DO-18-156. 1.70 g/t gold over 30.7 meters from collar and 4.64 g/t gold over 20.2 meters from 70.0 meters in drill hole DO-18-158. 3.86 g/t gold over 18.0 meters from collar in drill hole DO-18-164. 1.24 g/t gold over 18.0 meters from 2.0 meters and 1.10 g/t gold over 32.5 meters from 64.5 meters, in drill hole DO-18-160. 1.10 g/t gold over 37.5 meters from 29.0 meters in drill hole DO-18-165. 1.88 g/t gold over 24.0 meters from 14.0 meters and 1.52 g/t gold over 16.0 meters from 68.0 meters in drill hole DO-18-167. 20.81 g/t gold over 3.7 meters from 111.8 meters, including 75.28 g/t gold over 1.0 meter in drill hole DO-18-169. 1.20 g/t gold over 27.0 meters from 29.0 meters in drill hole DO-18-171. 2.48 g/t gold over 49.78 meters from 22.82 meters in drill hole DO-18-174. See Table 1 for all gold intersection composites of the 2018 program completed so far, Table 2 for drill hole specifications, and Figure 1 for the Nivré deposit location map. Drill hole DO-18-150 extends the Nivré East zone mineralization by 130 meters south of its previous boundary edge, with 1.0 g/t gold intersected over 13 meters true width (18.05 meters downhole). Drilling is still planned further south, where tourmaline-silica-pyrite boulders were traced and an artisanal adit is located. Drill holes DO-18-156, 158 and 164 enhance the main Nivré South zone tourmalinite-hosted mineralization. These holes are located up to 130 meters from a cliff where historical channel sampling had returned 2.9 g/t gold over 11.0 meters across the strike of a tourmaline-silica-pyrite unit. The channel sample results were not verified by Reunion, but confirm the extent of gold mineralization at surface. Drill hole DO-18-160 intersects mineralization, partly bridging a 500-meter gap between Nivré West and South. Drill holes DO-18-165 and 167 open-up the Nivré West zone mineralization in the tourmaline-silica-pyrite altered tuff unit towards the south. Drill holes DO-18-171 and DO-18-174 enhance gold mineralization in the tourmaline-silica-pyrite altered tuff unit of Nivré West. Drill hole DO-18-169 intersects a high-grade quartz vein in the area where a similar vein was illegally mined in the 2000’s along the western edge of the Nivré West zone. This high-grade quartz vein was intersected in four historical drill holes, including a vein with 11.0 g/t gold over 1.3 meters intersected in drill hole NI-15, located 200 meters south of DO-18-169. A second quartz vein yielded 70.0 g/t gold over 1.0 meter in drill hole NI-2 at 160 meters south of DO-18-169. These high-grade quartz veins will be followed up by additional drilling. These northwest-striking veins cut the north-south trending tourmaline-silica-pyrite altered mineralization. Several drill holes intersect zones of tourmaline-silica-pyrite bodies and altered tuffs up to 500 meters north of the previously drilled area in Nivré East. Results are pending. The first twenty-five holes of the expansion drilling program were concentrated along the southern and western edges the Nivré deposit. They were drilled at an angle of -55° to explore the extension of mineralized zones identified by historical drilling. The twenty-five holes represent a total of 3,323 meters out of the 8,000 meters program, including the 760 meters drilled in six holes for the validation program reported on September 19, 2018. The remainder of the extension drilling program focuses on the northern edge of the Nivré deposit and is expected to be completed by year end. The results will be used to prepare a new mineral resource estimate for the Nivré deposit in accordance with Canadian National Instrument 43-101 (‘NI 43-101”) which is expected to be completed in January 2019. In addition to the drilling program, the Company is currently doing a gradient-array induced polarization (IP) survey of 28 line-kilometers, with three test lines over the East and West zones of the Nivré deposit and 19 lines covering at 200-metre spacing the northern extensions of the Nivré deposit towards the Roche d’Olon and Seven Kilos prospects (see Figure 2). The chargeability and resistivity results will guide future exploration drilling in these areas, which is expected to expand the Nivré deposit to the north. The lines are shown in Figure 2 in relation with the gold and boron soil anomalies and the trend of the tourmaline-silica-pyrite facies identified by prospecting in these areas or by drilling in the Nivré area. Boron soil anomalies are interpreted to result from the weathering of tourmaline. The IP survey covers areas where about 1,500 historical “chip”, “grab” and “channel” samples were collected on the silica-tourmaline-sulphide trend, of which 250 returned assay results above 1 g/t gold with a maximum of 162.5 g/t gold. These samples were not systematically verified, but Reunion’s limited “grab” sampling to the north of the Nivré deposit has returned results up to 38 g/t gold (see press release dated June 12, 2018 – “grab” samples are selective in nature and collected to determine the presence or absence of gold mineralization). A significant amount of historical metallurgical test work has been conducted by Guyanor Ressources S.A. on samples from the Dorlin deposit in 1997. Results indicate very good recovery by cyanidation. The Company has implemented a quality assurance and quality control (QA/QC) program and chain of custody protocols for the drilling program. Core drilling uses HQ-size rods in saprolite and NQ-size rods in fresh rock with half-core samples collected. Sample length is usually 1.0 meter, but varies according to geology between 0.35 and 1.5 meters. Certified standards and blanks are respectively inserted in average every 25 and 20 samples, while a duplicate sample is inserted about one per 25 samples, resulting in the insertion of about 13% of control samples. Blanks and duplicates are preferentially inserted after visually identifying mineralized zones to ensure that the results are meaningful. The samples are analyzed for gold by fire assay with atomic absorption finish on 50-gram pulps by the MS Analytical certified laboratory in Guyana. Samples above 10 g/t gold are systematically re-analyzed with gravimetry finish. The Dorlin Project consists of an Exploitation Permit with an area of 84 km² in French Guiana, approximately 180 km southwest of Cayenne, accessible by bush track, small boat and aircraft. The Dorlin mining district has been one of the major artisanal gold producing areas in French Guiana since 1901, when alluvial gold was discovered along the Petit Inini River and the area became famous for producing large gold nuggets. The Project area is underlain by a sequence of Proterozoic intermediate to felsic volcanic rocks belonging to the Paramaca Group that have been extensively deformed/altered and cut by felsic granitoids. Gold mineralization is mainly associated to silica-tourmaline-sulphide alteration zones that are roughly north-south striking over 7 km, steeply dipping and tabular shaped. These alteration zones are contained in schistose rocks related to strong shearing. Reunion has an option to acquire 75% of the Dorlin Project from Auplata SA by completing a feasibility study and spending a minimum of US$3 million over a period of three years and can acquire an additional interest of 5% for a consideration to be based on the NPV in the feasibility study. 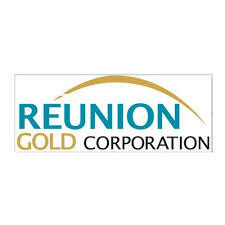 Reunion Gold Corporation is a Canadian exploration company focused on acquiring, exploring and developing gold projects in the Guiana Shield, South America. The Company has entered into agreements to acquire an interest in the Dorlin, Boulanger and Haute Mana gold projects in French Guiana and in the Waiamu, Aremu and Arawini gold projects in Guyana.